If I was to venture to guess what might be one of the biggest innovations in large and small businesses that operate with a fleet, or fleets, of vehicles, it would be moving to a paperless office, turning over to cloud technology, and using sophisticated fleet management software programs in conjunction with mobile technology, to totally transform their business practices and policies. Think of large cross-county or international trucking industries, where hundreds of trucks need to be tracked, monitored, managed, etc. Imagine if each truck and driver could be simultaneously in real-time contact with the central office, or the central office can know of the whereabouts of each of its trucks and drivers, and can verify that in real time. 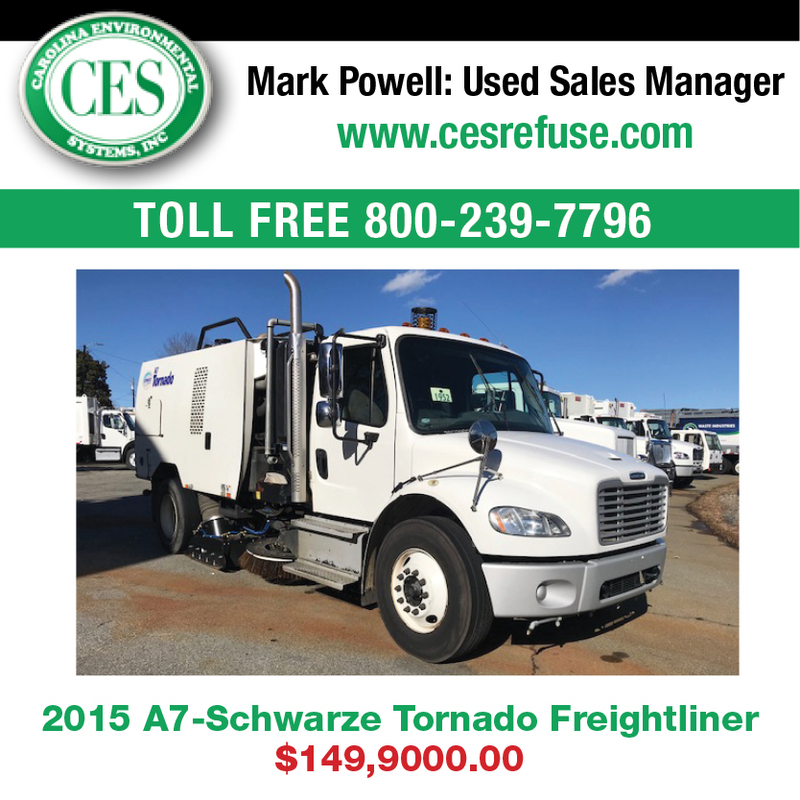 Now think of sweeper companies and paving companies, which also operate with fleets of trucks. 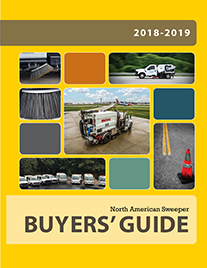 So, fleet management software systems, mobile technology, and cloud technology could very well be heading to set the pace for sweeping and paving company operations in 2016. 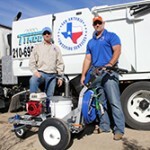 This is the case with San Antonio Sweeping Services, one of the best sweeping companies in Texas. 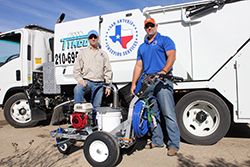 Brian Cooper owner of San Antonio Sweeping Services tells us that, “today’s technology allows our company to roll into 2016 with GPS, phone apps, and real time cameras in each sweeper. The GPS provides us continuous supervision of each sweeper as to when, where, and how long our sweepers are working. The phone app allows us to send a GPS reading to our customer immediately if there is ever a discrepancy about services rendered. This has minimized any disputes that were once hard to verify in the past. Our customers appreciate getting this kind of immediate feedback. 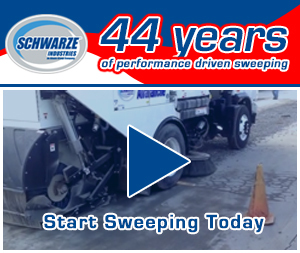 Real time cameras are exceptional for training our drivers because we can see what they see and answer their questions in real time.” From Cooper’s perspective, “with these great tools and continuous communication with our customers, San Antonio Sweeping Services is ready and excited for what the future may bring in 2016, and beyond.” “The future in power sweeping for San Antonio Sweeping Services is to provide outstanding customer service along with the tools that today’s technology can offer.” Hats off to the newest technologies! 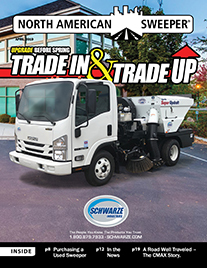 Once integrated, fleet management software programs could be a powerhouse management and communications system and tool for sweeping and paving companies. That is, if you are not already using some or all of these technologies! Let’s take a brief look at these technologies in action. Being able to effectively manage all vehicle tracking, routing, driver behavior, etc. can certainly put at ease fleet managers because with such information they can easily determine if they are meeting and staying compliant with all Federal Motor Carrier Safety Administration regulations. Fleet Management Systems (FMS) can facilitate accomplishing a range of tasks in managing all aspects related to your fleet of vehicles that you own and operate. An FMS actually functions like a complex information receiving, processing, and delivery system, whose main function is to gather, store, process, monitor, report on and export information to anyone linked into the system by computer or even your smart phone in many cases. Both external data from information such as gas pump processors, motor vehicle insurance databases, as well as internal data such as human resources needs and financial information can easily be handled by your FMS. Fleet management software should be able to manage processes, tasks and events, for example notification of routine maintenance, scheduled maintenance, tax and insurance due dates and driver license renewal dates.